The back-office system Kondor+TP was implemented by several integrators and, as a result, did not function and operated incorrectly and with errors, unless RBtechnologies joined the project. RBtechnologies experts carried out a significant work on the project changing, correct implementation and adjustment of the system Kondor+TP to the extent necessary to the client. SWIFT external service integration – Accord Matching. RBtechnologies experts implemented an adjustment and connection. Activation of the system work with the local currency (rubles). 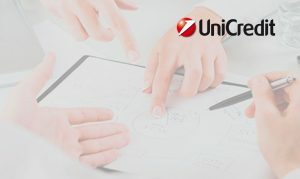 A development of Unicredit’s special features of work with the internal business processes. External front-office integration, particularly with self-build and customized systems within the bank. We also carried out the integration of the bank applications system bus with the system bus inside of the Misys systems, using in the bank.